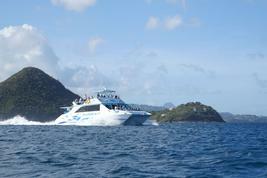 Experience a one of a kind adventure offered nowhere else in the Caribbean. 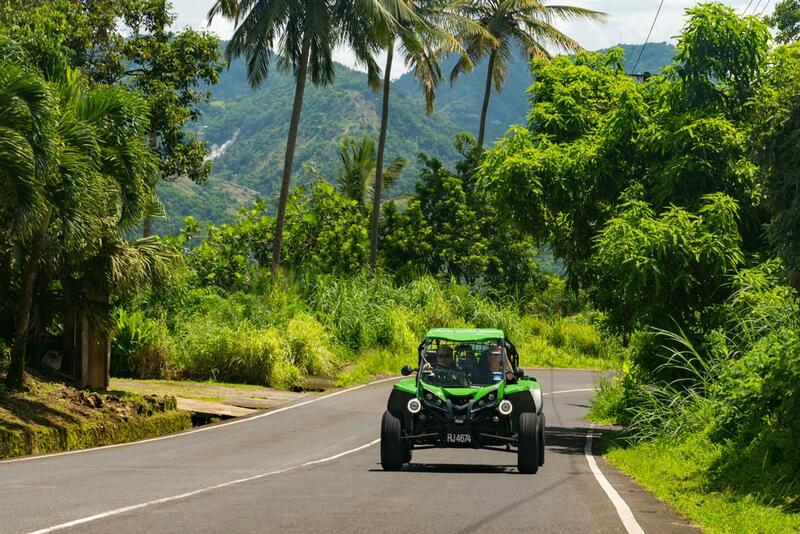 Jump in a 2 or 4 seater buggy and drive yourself. 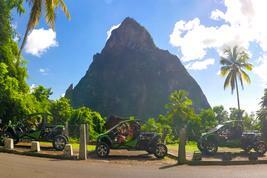 Catch a glimpse of the real St. Lucia and see the spectacular east coast, before turning inland to the forested interior. Your destination is Treetop Adventure Park, which is located in the heart of the rainforest. Take in the sights and sounds as you enjoy a complimentary drink, then suit up and get ready for the ride of your life. 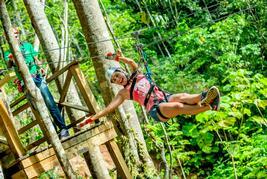 Treetop Adventure Park's zip line is world-class and boasts the longest, highest, and fastest lines on the island. 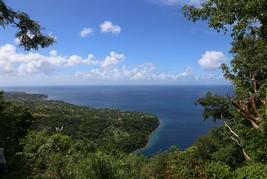 The course is designed for maximum thrill and exposure to the best views of the rainforest. After completing the 12 lines, relax with another complimentary drink or browse the gift shop before hopping back into your buggy. End your tour on a high note as you feel the breeze and see the sights again up close and personal.